Join us for a weekend of shopping at The Quarry’s Holiday Artisan Market December 1 & 2 from 10am to 4pm! 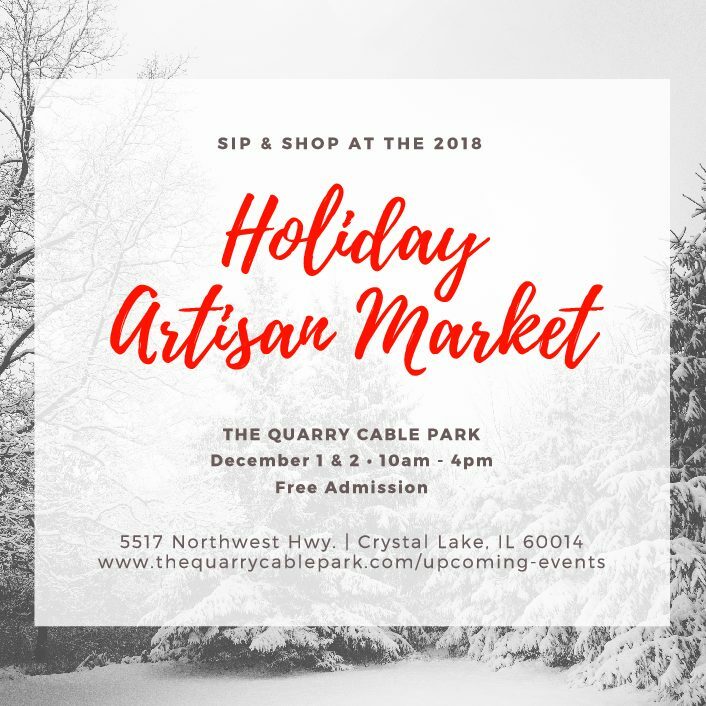 Talented artists from around McHenry County and the Chicagoland area will be in attendance with one-of-a-kind holiday gifts, including handmade soaps and candles, baby blankets, knit accessories, home decor, handcrafted loose leaf tea and more! Enjoy coffee, hot cocoa or a beverage from the bar while shopping throughout the venue. Be sure to review the vendor list below, as different artists will be featured each day!